What are the BEST Disney wedding centerpieces? THE PRODUCERS OF MARRIED AT FIRST SIGHT & SEVEN YEAR SWITCH are now casting online couples for a new project for a Major Cable Network. Have you fallen in love with someone over the Internet? Have you spoken on FaceTime or Skype, but NEVER MET IN PERSON? Could they be the love of your life? Are you ready to meet him or her in person? 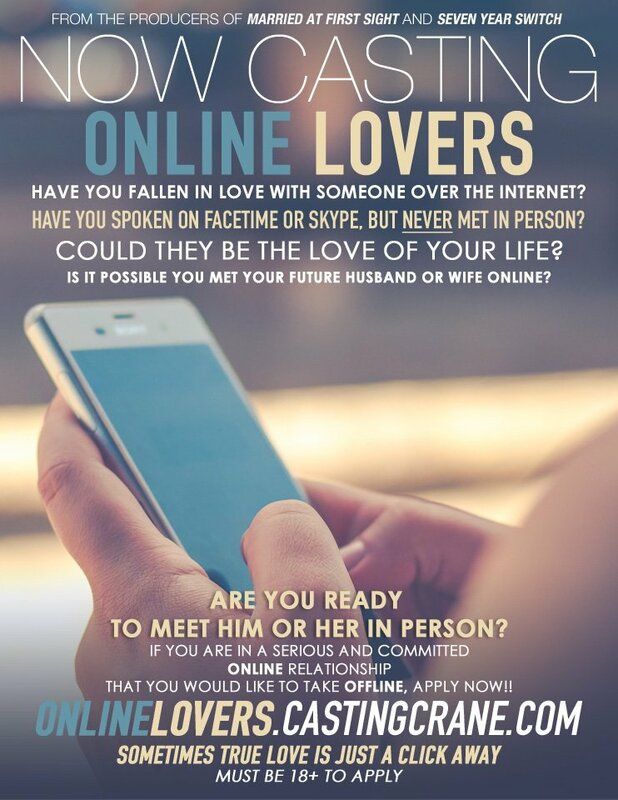 If you have found your Prince or Princess online and would like to take your romance offline, we want to speak to you. For any questions or for more information please contact the Casting Producer, Heather Allyn at allyncasting@gmail.com or call at 424.293.5808. We can’t wait to hear your stories and Capture the Magic! !